STEM is an approach that incorporates Science, Technology, Engineering, and Mathematics as the basis for delivering a 21st Century learning environment to students. It provides a space where students can make, learn and explore in a safe, supportive and collaborative environment. They take part in a multitude of activities that range from the hi-tech such as 3D printing or Lego robotics, to low-tech such as creating structures from cardboard, popsicle sticks and glue. We know that no two students learn the same way. The STEM concept believes in having a flexible learning environment where students can express their creativity and critical thinking skills in their own manner. Flexible seating allows students options based on their preferences. 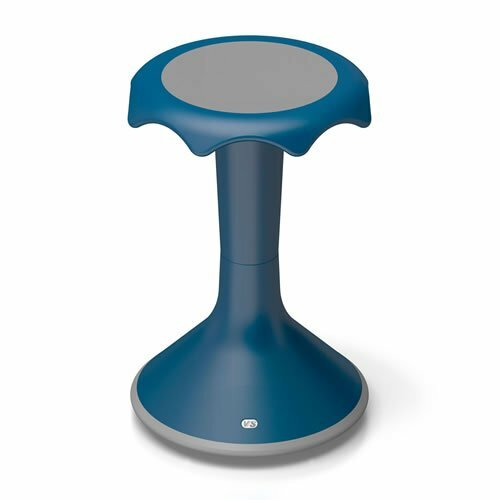 Wobbly stools allow students to transfer that youthful exuberance into their seating while maintaining engagement on their task. Does the student need a place to relax and chill while cultivating their creativity? Bean bags, couches, or rocking chairs along with clipboards or writing surfaces, allow the students to relax while remaining productive. Students also need to be able to collaborate to get things done. Sketchbooks and scrap paper provide basic tools to view and share information. They could also meet at the whiteboard to work on their projects. Sometimes the classroom can be constrained by the lack of wall space for multiple whiteboards. Whiteboard paint or roll-up sheets means you can create a collaborative area on any surface. Students could also use Apps such as Explain Anything to record their ideas. Celebrating our students work and achievements is a big part of a teacher’s job. At the STEM Centers, the student’s work is showcased not only around the classroom but also through various digital media. Seesaw allows students to plan, design, refine and document their work. They can use the drawing function to sketch out an idea and then the camera to capture a finished product. The app allows student to share their learnings with their home school and parents. As well, they can also use the app to collaborate with their classmates at the center or at home. The students also have access to the @stemrway Twitter account. Posting to the hashtags #wsdstem and #winnipegsd, the students have the ability to promote their work to their parents, teachers, and to the world at large. Special consideration is taken to ensure the privacy and safety of students. Keep your eye out for new developments!